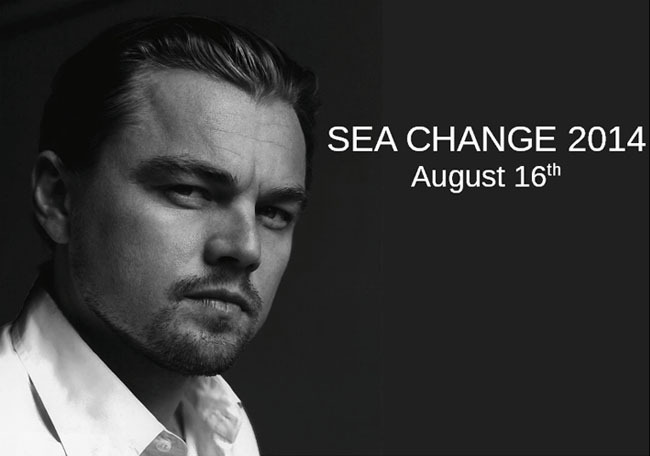 LIULI CRYSTAL ART Supports OCEANA and created a LIULI award for 2014 honoree, Leonardo DiCaprio. World renowned, LiuLi Crystal Art fully supports Oceana for a 3rd year in promoting the preservation of ocean life and habitat. LiuLi is the embodiment of spirit, life, philosophy, and passion. This makes for the perfect coalition between the companies towards promoting their shared goals. 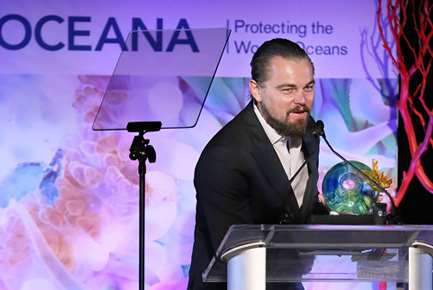 LiuLi Crystal Art was commissioned by Oceana and its Hollywood supporters to create an award for this year’s honoree, Hollywood legend, Leonardo DiCaprio. Leonardo is a stanch advocate for green technology, and in supporting Oceana in its quest to protect our oceans and its sea life within. LiuLi Crystal Art selected an art piece that was designed and created in the colors of the ocean. 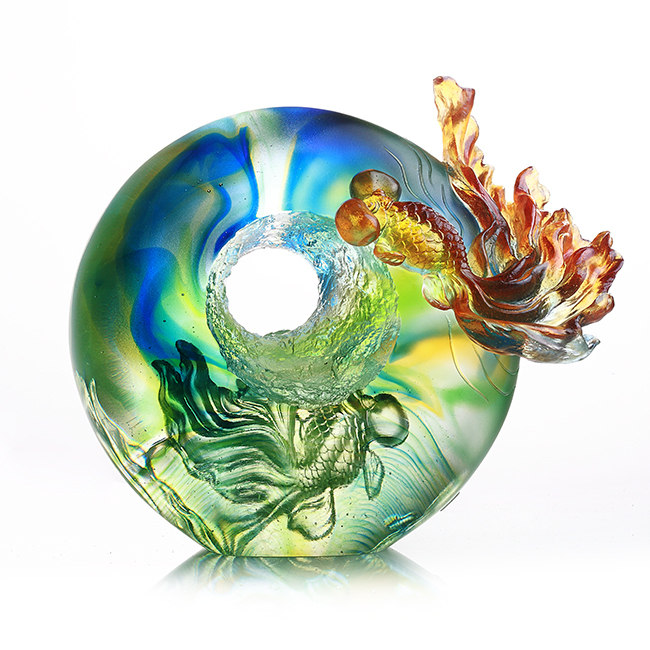 The sculpture ring of this art piece (shown below) is reminiscent of life in the ocean. This award was given to Leonardo DiCaprio on the evening of the Oceana Gala, which was on August 16th, 2014, at a villa in Laguna Beach, California. This event was, as usual of Oceana Galas, star studded with Hollywood’s top talent. In attendance were VIPs, and CEOs supporting Oceana and LiuLi’s vision for the sustainability and enhancement of ocean life. LiuLi Crystal Art also donated 275 pieces of fine art so that each attendee was able to take home a piece of the vision from the event. In addition to its afore mentioned accolades, LiuLi Crystal Art was also embraced by Hollywood due to the fact that their art designer, a renowned actress in the Taiwanese film industry, Loretta H. Yang also happens to be one of the most talented artisans of our day. LiuLi Crystal Art produces numerous products that are affordable to all walks of life. They will custom make art pieces, corporate gifts, awards, and will also create pieces to match the vision of those that want to have it commissioned. For further information in regard to LiuLi Crystal Art, Oceana, or the star studded Gala on August 16th, you may visit their official website, http://www.liuli.com.sg, and Oceana’s official website,http://oceana.org/en.